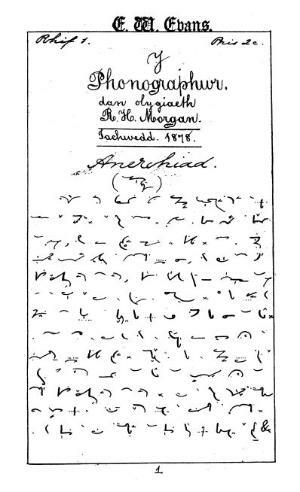 A Welsh language shorthand periodical that published articles in both phonographic and aleographic shorthand. Originally a monthly publication from September 1879 it was published irregularly. The periodical was edited by Richard Humphreys Morgan (1850-1899). Associated titles: Cylchgrawn Llaw-fer (1906).